Project manager assistance for the Gaîté Lyrique - International creation centre for modern music and digital arts. 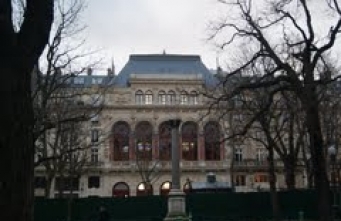 The Gaîté Lyrique, former theatre of the Haussmann era, classified Historical Monument (facade, vestibule and foyer) has been entirely restructured by the architect Manuelle Gautrand to become a temple of digital cultures in all of its form. As a Public Establishment of the City, the Gaîté Lyrique look across music, cinema, animation, theatre, dance, visual arts, design, graphic design, motion design, musicals, architecture, IT programming, code art, gaming, mode, ... Th establishment aims at favoring connections and privileged relations between these fields. Dedale has been appointed to assist the Contracting Authority for the Gaîté Lyrique project - expertise and management of the teams selected in the context of the definition studies. Strategic diagnosis, expertise, requirements specification, management of the teams short-listed and selection of the laureate in the context of the definition studies / Steering committee.